The outlook on Brent oil is broadly bullish, driven by rising constraints on the supply side, according to the report of Fitch Solutions Macro Research (a unit of Fitch Group). "Loss of exports from Iran, low inventories, limited spare capacity and continued under-investment in the sector will drive the market into deficit from 2019. That said, we note rising risks to demand, as emerging markets start to feel the pain of a stronger dollar, tighter liquidity, higher oil prices and rising protectionism," said the reported obtained by Trend. 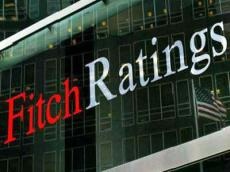 Fitch Solutions expects prices to average higher y-o-y in 2019 and 2020, driven up by the loss of exports from Iran and chronic declines in Venezuela. Other OPEC+ will raise their output, but this will be insufficient to keep the market in balance, according to the report. The company believes that normalized inventories and shrunken spare capacity will leave prices exposed to any shock on the supply side. "Demand will rise, with growth swinging back from developed to emerging markets. However, a more challenging external environment poses downside risk to the forecast. We are holding to our current oil price forecast this month and look on target to meet our annual average of $75 per barrel for Brent," said the report. For 2019 and 2020, Fitch Solutions forecasts prices to rise to an average of $82 per barrel and $85 per barrel respectively. "We expect heightened volatility in the coming weeks and months as the market grapples with myriad and high-level risks to both supply and demand – not least export losses from Iran and mounting headwinds for the global economy. Our data indicate that the global crude balance will be in deficit next year," said the report. That said, the deficit is small and within the margin of error, according to the company. "The outlook on the market is highly uncertain and there is a marked lack of consensus not only as to the level, but also the direction of future prices."